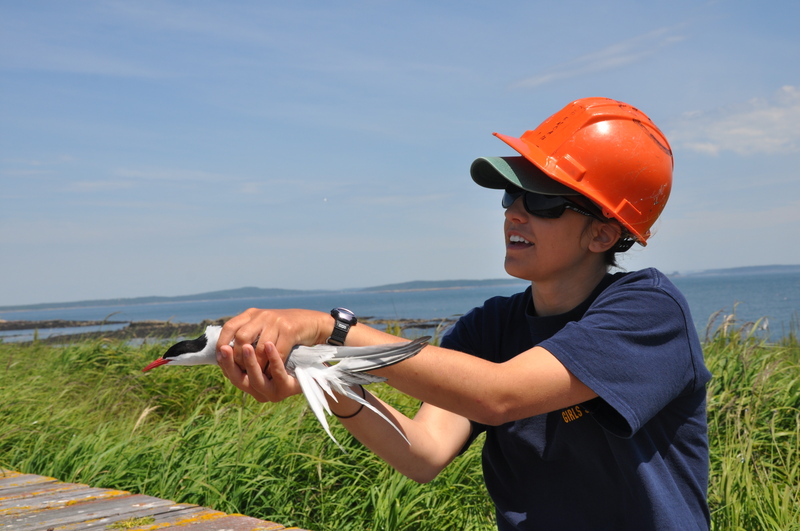 As the stronghold for nesting terns in the Gulf of Maine, 1600 pairs were considered a low number for Petit Manan this year. For the average tourist aboard the average whale watching boat, however, the presence of the terns is blatantly obvious. They are noisy, cranky, gossipy birds who nest all over the island: the tall grass, the rocks, and our lawn. Despite the fact that other birds nest on this island, Petit Manan really belongs to the terns. Their tenacity and group work has earned them a reputation as being desirable neighbors for the alcids, the sandpipers, and the eider ducks. 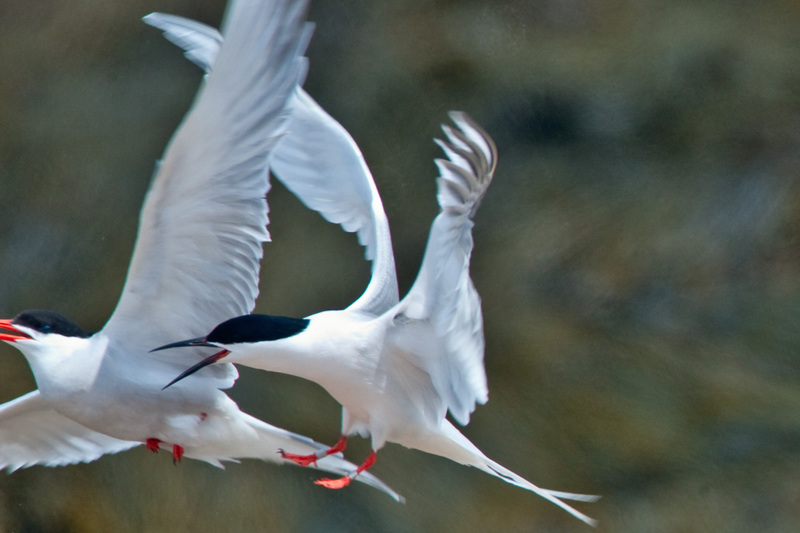 Although they are noisy (they chatter 24 hours a day), the terns know how to work together to mob and drive away predators that grossly outweigh them, providing a neighborhood crime watch service that keeps the other birds safer than they would have been otherwise. 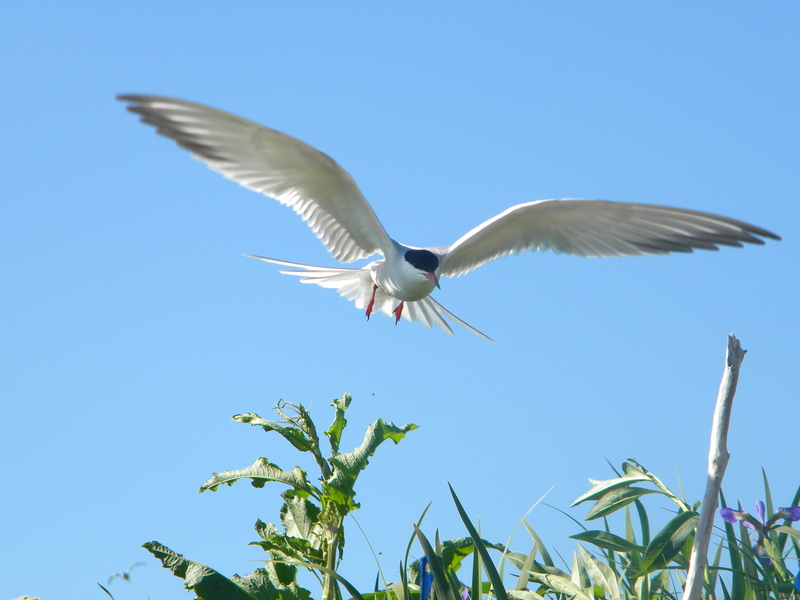 Three species of terns nest on Petit Manan Island. 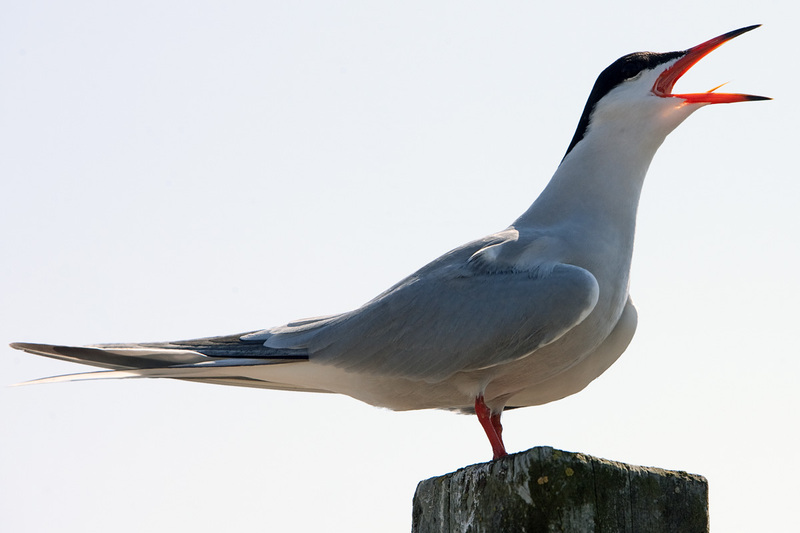 There is the Common tern: conspicuous, irritable, and bolder than the other two species. 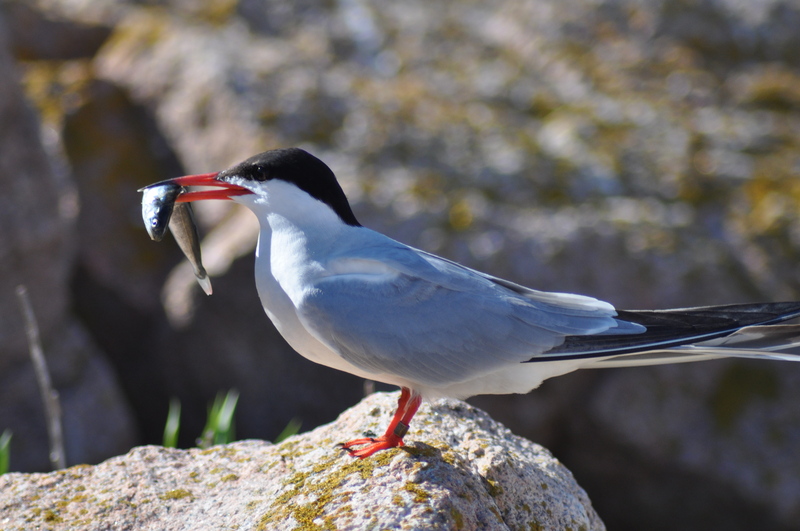 The Common terns nest almost everywhere on the island (including the inconvenient places, like pathways and in front of the bathroom). They also seem to attack more heartily than anyone else. 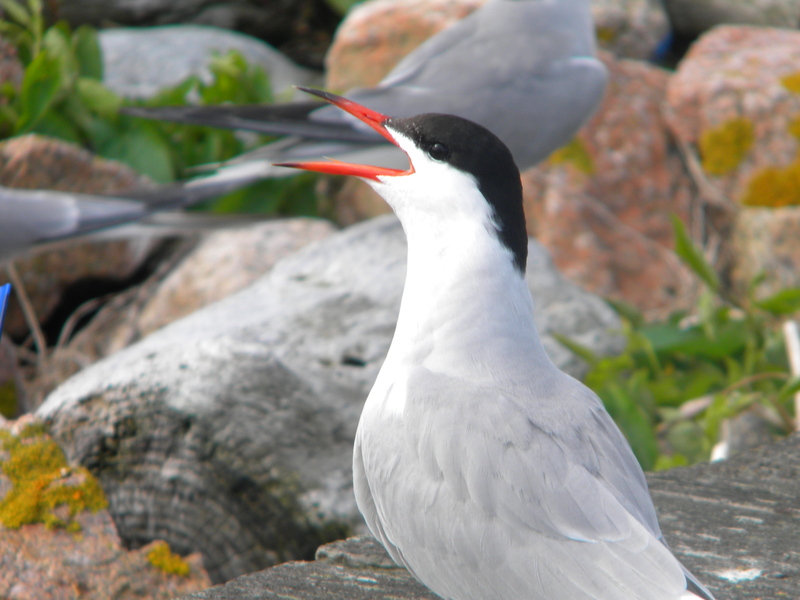 Then there is the Arctic tern: more wary, but just as conspicuous. 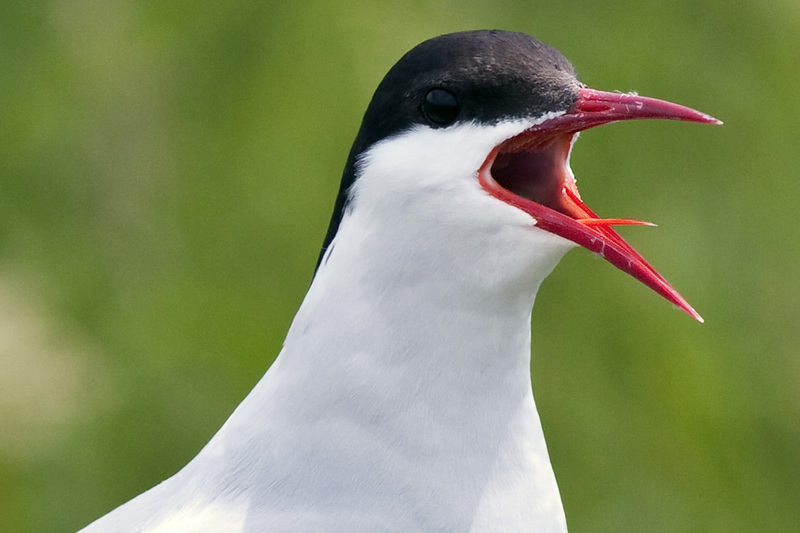 The Arctic tern nests primarily in the middle of the island in tall vegetation. 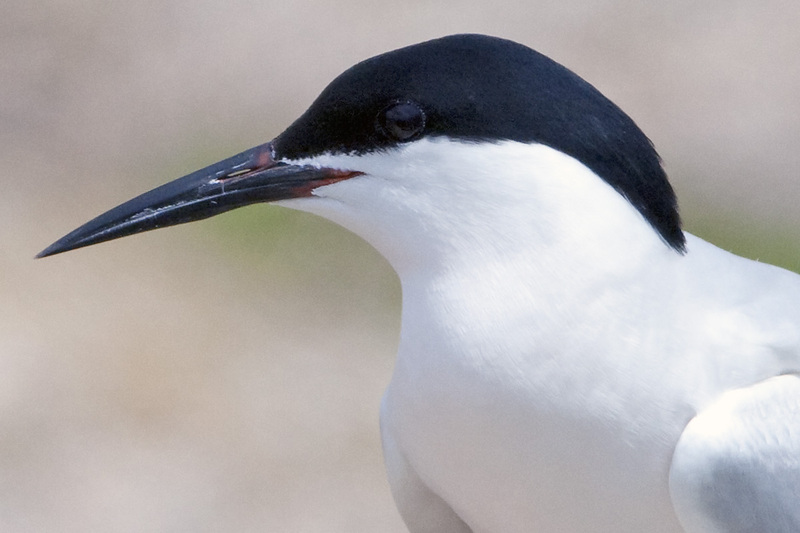 Finally there is the Roseate: the elusive, beautiful, federally endangered Roseate tern. This year we had one pair of Roseates attempt to nest on PMI, but the constant harassment from the Common terns may have been a driving force in the failure of their nest. 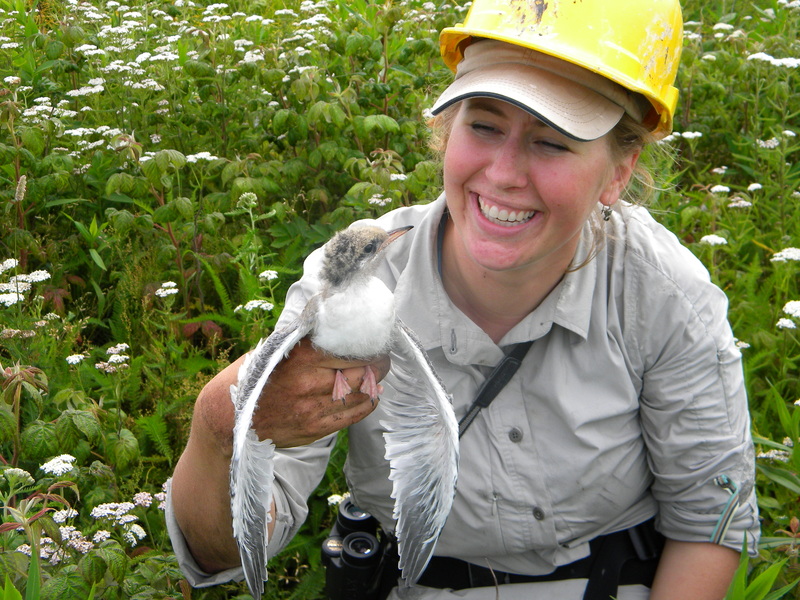 The terns take up the largest chunk of the crew’s work here on PMI. At the beginning of the season we resighted bands, and as eggs were laid, we located, identified, and flagged all the nests we could find. With terns still on eggs, we were able to trap, accomplished by placing a bow net over nests replaced with artificial eggs for safety. 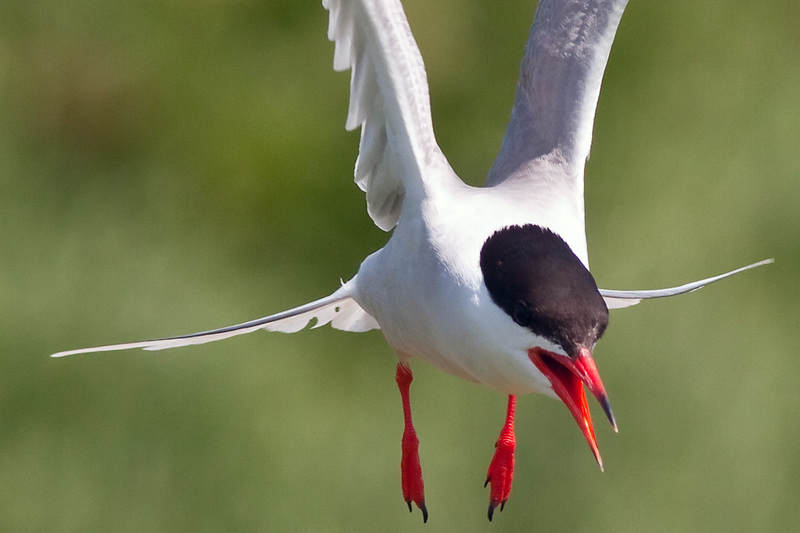 When the tern would come back to its nest, it would set off a trip wire, causing the net to spring over it. 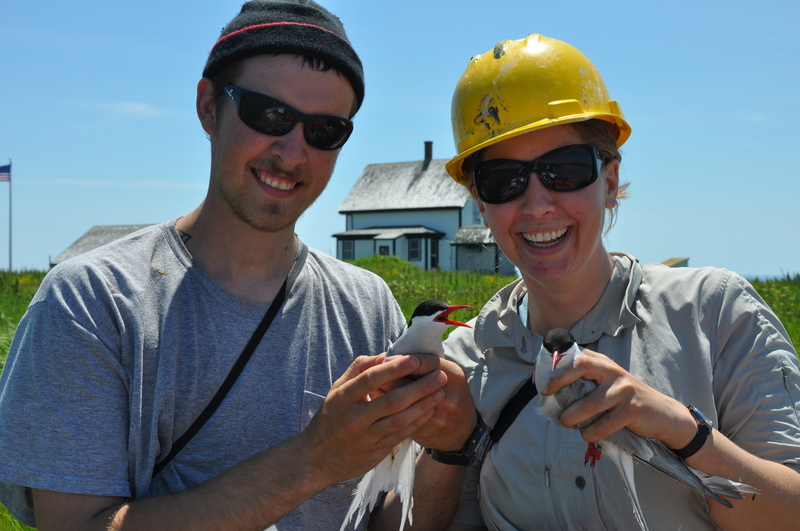 Throughout the first two weeks in July, we spent our mornings trapping and subsequently weighing, measuring, banding, and taking Avian Influenza samples of adult terns. Fourteen plots were selected and fenced off to measure productivity of the terns. 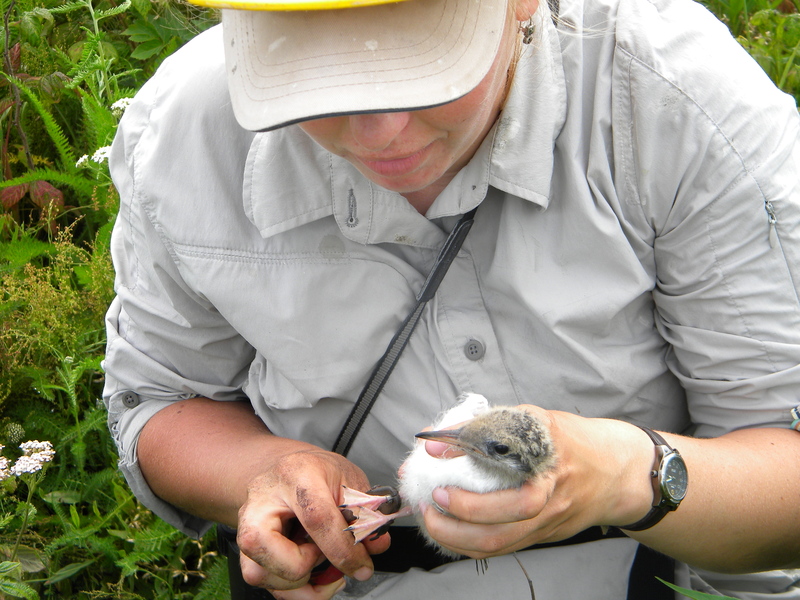 Chicks within the plots were weighed and monitored frequently, to give a general picture of survivorship and growth rate within the colony. As we got to know these chicks more personally, we began to mourn deaths and triumph fledges. They grow so fast. 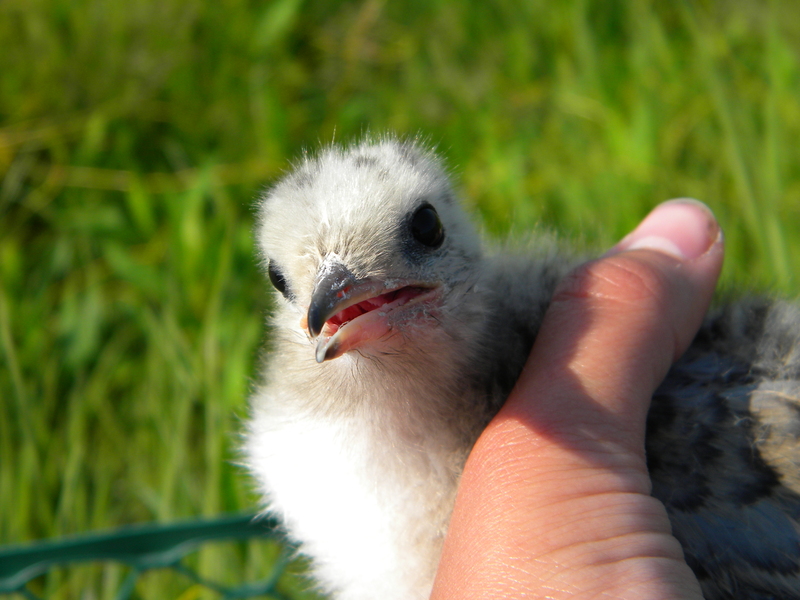 Within a month a chick transforms from a ball of fuzz into a tern, from begging for food to flapping their wings. It’s truly amazing. Four additional unfenced plots are for provisioning studies. Each chick is marked based on hatch order, and we watch to see what kind of fish the adults are bringing back, how large the fish are, and which chick is being fed most often. 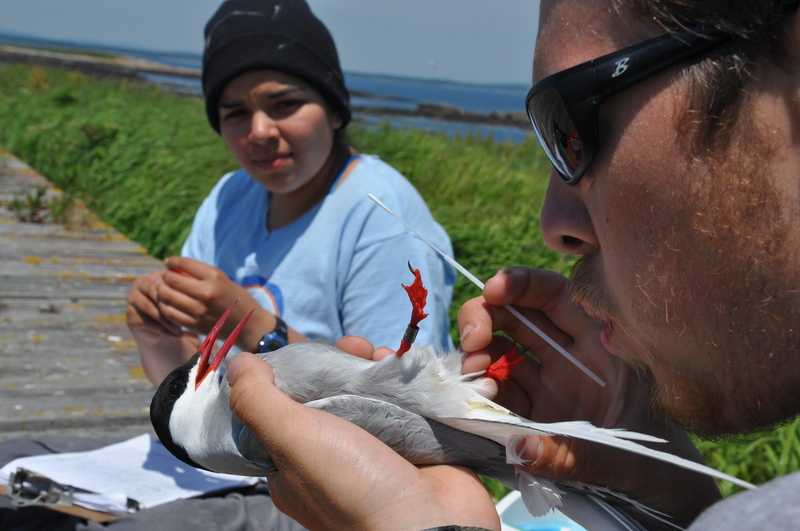 You know nothing until you know how to identify tiny fish specimens as they hang from the beak of a 12 inch bird. Every second with these birds is a pleasure.